Guterres’ strong backing for an independent Palestinian state came ahead of the release of a long-awaited US plan for Israeli-Palestinian peace and Israeli elections in April. 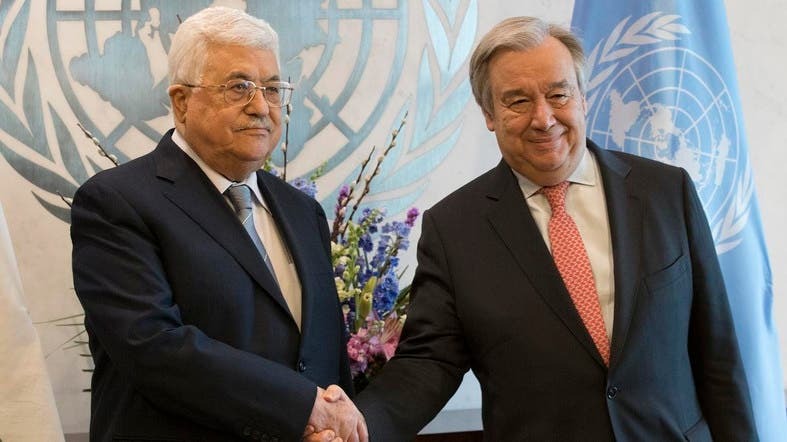 UN spokesman Stephane Dujarric says Guterres also congratulated Abbas during Monday’s meeting on the election of the Palestinians to preside over the Group of 77, a bloc of 134 mainly developing nations and China that promotes their collective interests at the United Nations. Abbas will take over the chairmanship from Egypt on Tuesday.